India should learn from other countries on how to find financial resources and manage ‘solid waste’ which is a big problem in almost all the municipalities of the country. For example eleven municipalities in the Stavanger region of Norway pooled their resources and floated a company called ‘Ivar’ that converts solid waste into fuel. Together, these municipalities have approximately a quarter million inhabitants. They took up ‘sludge to fuel management’ on priority. Separation and segregation of sewage, sludge, plastic and metal at source is therefore crucial. The project works with wet waste, toilet and kitchen waste. While the bio-fuel generated at the end of it can be put to use, the by-products can be used as fertilisers too. The project has been successful and has generated enough bio-fuel to run the public bus transport system in all eleven municipalities. A total of 84 IVAR employees were responsible for a turnover of approximately NOK 280 million in 2003. IVAR receives and processes solid waste from waste disposal services in the municipalities. IVAR works with a number of private and public organisations with the objective of ensuring improved exploitation of solid waste. Their motto being, less waste to landfills, more to recycling. For many years, the Sele landfill was the largest facility of its kind in Norway. It received nearly 1,40,000 tonne of waste at the landfill, in 1997. However, after exploiting their resources well, they have seen that the volume of residual waste ending up at the landfill has substantially reduced to about 30,000 tonne only. This means, the recycling rate for household refuse in the IVAR region is above 90 per cent, which further means that overall recycling rate has exceeded national goals. The Sele landfill receives solid waste from the IVAR municipalities. There is also a gas collection facility at the landfill. The Sele recycling station receives sorted waste and the Hogstad composting plant makes nutrient-rich compost out of food and garden waste from the entire Jæren region. Cambi is one of the partner companies in this effort. 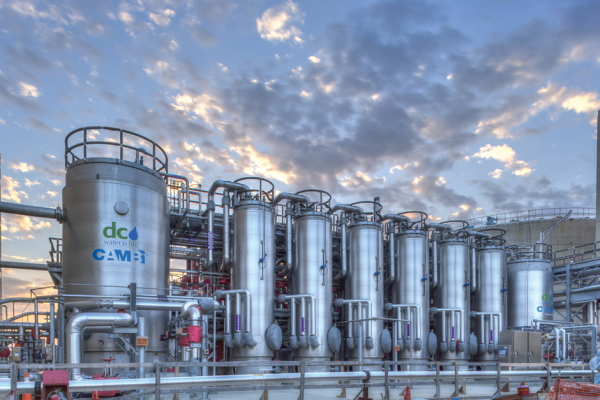 Cambi, through thermal hydrolysis, enhances biogas production and produces pathogen-free bio-solids to make bio-fertilizers. The company deals in the process of converting sludge into fuel. The first project was started in 1989 through a small plant in Osloto; it was directed at proving the technology and convincing city authorities about its efficacy. Indian scientist working with Cambi, Dr Ashish Sahoo maintains that such a model can be replicated back home provided Government wants. Previous Post How Will India Dispose 175 GW Of Solar Panels At The End-Of-Life?